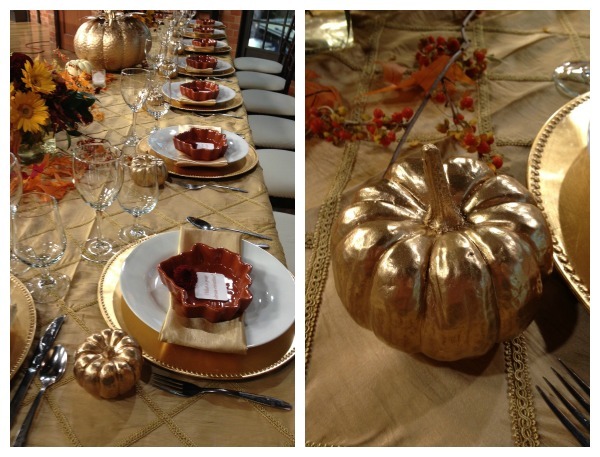 Today’s trend setting Tuesday is to help you prepare for Thanksgiving decor with spray painted pumpkins. 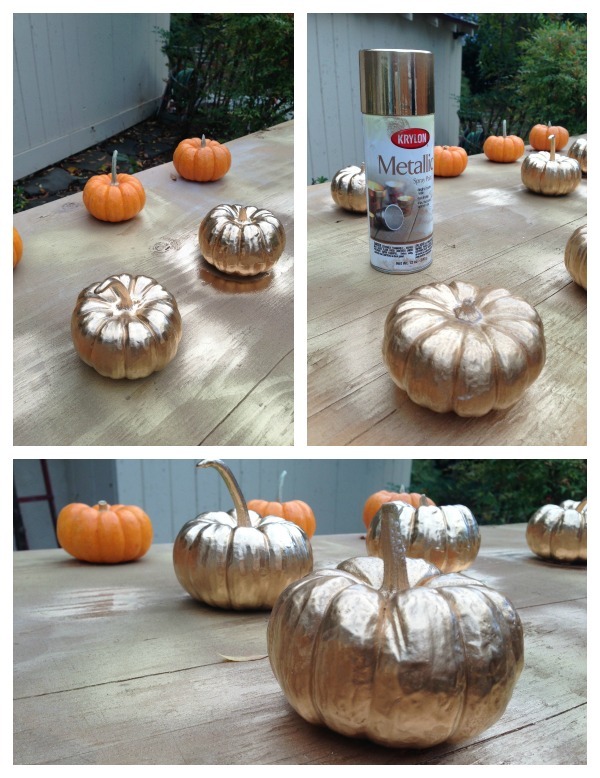 Since last week we did a feature on gold and everything gold, we thought this week we would show you how to spray paint pumpkins for place cards, decor and anything else. A little creativity with colors and simple spray paint can make a huge difference for your table centerpiece this year. – One can of spray paint, any color. We like the Krylon Metallic Gold. It worked well on the pumpkin and it stayed on when it was dry. We also bought a glitter gold to spray on it but you couldn’t really see it so we suggest going with just the metallic. 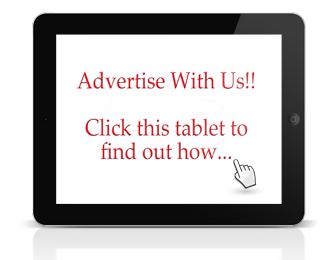 – If you have an old piece of ply wood in the backyard they make for great spraying boards. I would try to stay away from new paper or anything that would stick to the paint. You can use a tarp or plastic liner. We also wanted to share that we found these adorable leave bowls at Michael’s on clearance for $1.00. They add perfectly to the table. We are happy to share this adorable home wedding sent to us by Tiffany Anne Photography. Here’s what Tiffany had to say about this couple. This super good looking couple fell in love at first sight at their job. They both work at the Excalibur show, Tournament of the Kings in Las Vegas. She’s a dancer & he is a knight (in shining armor). Straight out of a fairytale, these two are so cute. These adorable engagement photos where taken at the Dry Lake Beds on the outskirts of Las Vegas. You could truly see love radiating out of these photos. 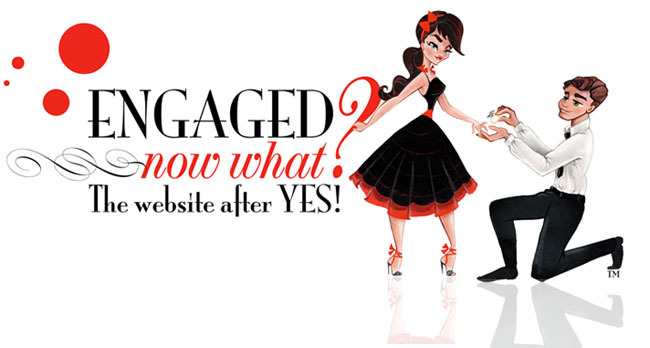 Thank you Gaby J Photographer for sharing this sweet engagement shoot.